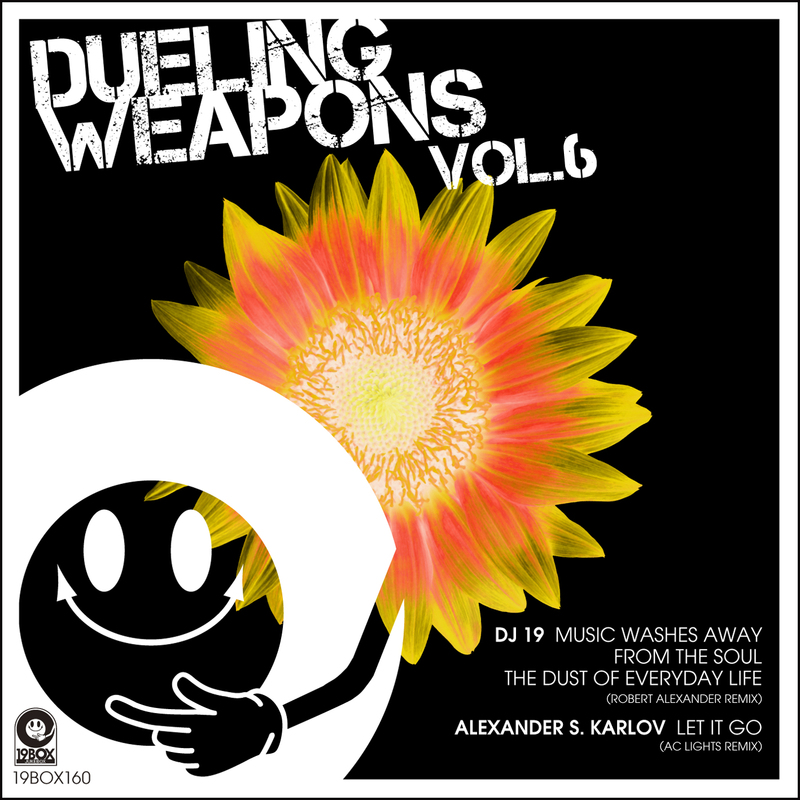 19BOX(JIKEBOX) RECORDINGS is proud to bring you the 6th installment of 'Dueling Weapons', which will focus on unreleased remixes to rock the dance floor. 'Dueling Weapons Vol.6' includes remixes by artists such as Robert Alexander and AC Lights. The EP kicks off with a remix for DJ 19's 'Music Washes Away From The Soul The Dust Of Everyday Life', which named after Pablo Picasso's "Art washes away from the soul the dust of everyday life". Robert Alexander drops his debut remix for 19BOX RECORDINGS with deep melodic techno and house fusion straight from Winnipeg, Canada. With almost acid like arpeggios, washed out atmospheres, and a nice deep groove, it's sure to get the bodies moving. Adding to our growing list of all-star remixes, we welcome back Indian AC Lights aka Acala. He transforms Alexander S. Karlov's sweet chillout track 'Let It Go' from 'Electronic Sonic EP' into a deep territory, adding his signature groove and soaked in dark. Lose yourself on the dancefloor, just smile and enjoy it!